Hi, this is Yuta Hirai from Tokyo, Japan. I graduated from an art college, SVA, in NY the year of 2000, and came back to Japan the next year. Since then I have been working as a freelance journalist and often visited foreign countries such as Mexico, Cuba, Peru, Egypt, Ethiopia, India, Thai and even North Korea. 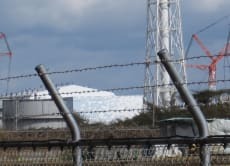 It gave me both a shock and this idea that the frontier of the world suddenly occurred only one and a half hour away from my house, in Fukushima. I started going back and forth between Tokyo and Fukushima as much as possible, and finally, moved to live in Fukushima city since October, 2012. I was a member of Fukushima's agricultural revival project with professors from Fukushima University, members from Fukushima JA and Co-op and local farmers. And besides the project, I was the bureau chief when people outside of Fukushima or Japan came to inspect what the earthquake and nuclear disaster had done to Fukushima citizens and their everyday life. The tour I offer to you is truly unique. I can provide something you can never see outside than Fukushima. And maybe, that is what we want you to bring back to your country as a memory and talk about with your family or friends, figure out how not to let this kind of disaster happen again anywhere in the world. Let's share a phenomenal experience! Yuta our host is knowledgeable , intelligent, articulate. And very well aware of all the history and current and future issues regarding this most unusual ongoing situation. He provided us with safe passage to the most interesting and unusually fascinating spots of the fukushima situation. I have traveled extensively and often must try hard to find unusual activities of high value. This was certainly all of that. Should I find myself in Tokyo in the mid range future, I would not hesitate to do it again. Thank you Yuta for an amazing tour!!!! It is just a remarkable trip to witness. Natural disasters unfortunately occur, but to grasp the scope of an earthquake, tsunami, and nuclear disaster at the same time, it is unfathomable. It helps to have an experienced guide to show and tell about the different areas. The places that are off limits, the places where people are allowed, to return, but haven't, and the new building, especially on the roadways and railroad, it is something to hear the guide say 'that wasn't there last time'. It marks the attempt at recovery. To see so many homes and businesses abandoned, still as they were on 3/11, just makes you think. And to see the power plant, the street signs that lead to it, and the radiation level signs, it is surreal. Take the tour with respect, learn a lot and appreciate what happened. It is an experience I will never forget. This tour was fantastic and very much thanks to the very knowledgable guide Yuta that had so much information about the accident, the area and also about the politics in the aftermath. It was very interesting, and scary, to see and learn about accident while being on site.